TX Text Control's reporting engine MailMerge supports commonly used fields compatible with the mail merge functionality of MS Word including MergeFields, IncludeText fields and Date fields. 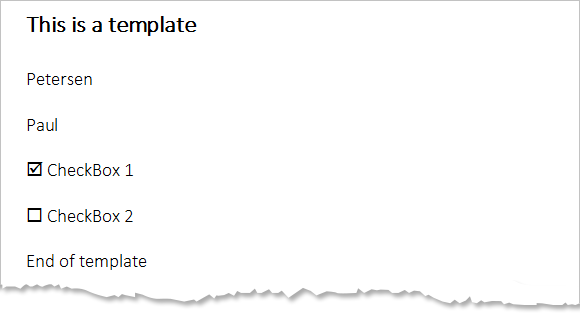 Besides those standard fields, the DocumentServer namespace contains field adapter for MS Word form fields, such as checkboxes, drop-down boxes and form text fields, and content control fields. You can download the sample project for your own tests. At least a trial version of TX Text Control .NET for Windows Forms is required.